I know it’s not Friday but I haven’t done one of these posts in a bit, so here it goes. I wanted to share a few of my favorite things…and by that I mean those things I grab most often, here lately. Bag Smith Big Bump Merino in the new shade of Emerald! You can see all of the other colors here. I know I don’t need to give you a why here right? Well what about a hashtag #teamlazy #teaminstantgratification #teamgeterdone. If you do need a reason, well the first bump is $150 and $135 for each additional an one bump made my beloved Topper, yup it’s a favorite. Ban.do 17 month Agenda that I already told you about on a previous post. Guys I have had a few days to spend time with this planner and yup I LOVE IT! I know I have all of my electronics for reminders and notes and such, but this thing is so flipping cute, did I show you the stickers? It retails for $20 and is worth every penny. Samsung Galaxy Camera with the 21x zoom and bluetooth capabilities. Yea that stays in the bag. I mean I can instantly upload to instagram AND edit it before said upload. Oh it’s a winner. It is perfect when I don’t feel like kidnapping Shelbey’s DLSR. I have had it for a bit now and I caught a sale. Jul leather closures, the ones I grab when ever I see them!! Yes that take any project and push it over the edge. Definitely a go to of mine and they have multiple options, check it out. They range in price from $25 – $45 from what I saw. I absolutely love my tags from Autumnindingohome shop on Etsy. They just make my packages look professional. The knit kit, listen I have two ok! I keep this thing with me. 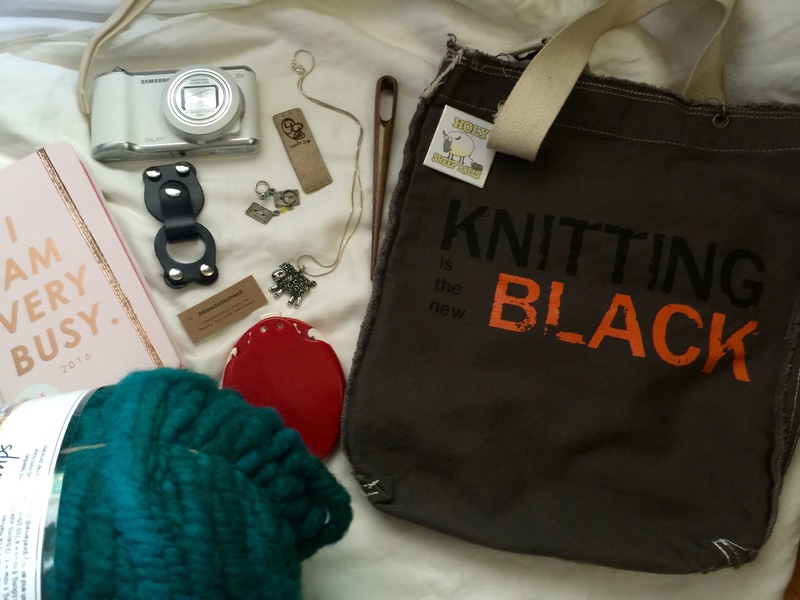 It is everything you need for mobile knitting. The website has a list of places you can purchase. My lamb pendant, I swear I have to remind myself to take it off. LOL! I got it from Furls Crochet and look it’s on sale right now. Now you know I have many more, but these things have been front and center as of late. Do you have favorites that you use ALL the time? Let’s discuss.